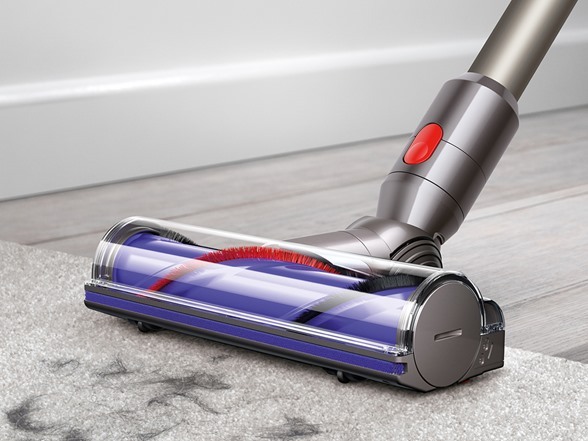 Direct-drive cleaner head - Direct-drive cleaner head drives bristles deeper into the carpet to remove even more dirt. 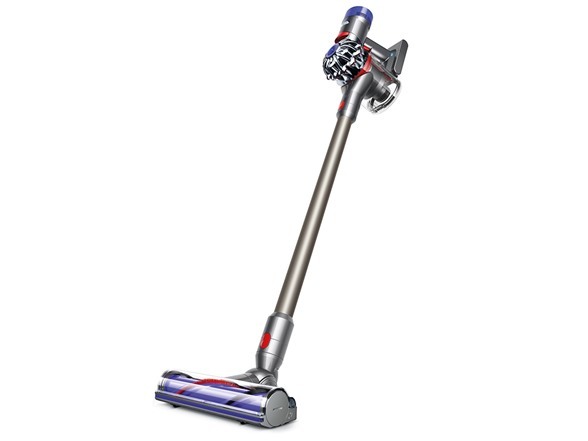 150% more brush bar power than the Dyson V6 cord-free vacuum. Whole machine HEPA filtration - Captures allergens and expels cleaner air than the air you breathe. 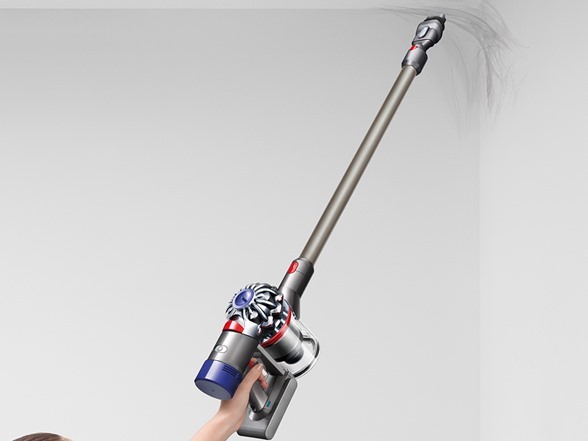 Powered by the Dyson digital motor V8 - The Dyson digital motor V8 creates the most powerful cordless vacuum. 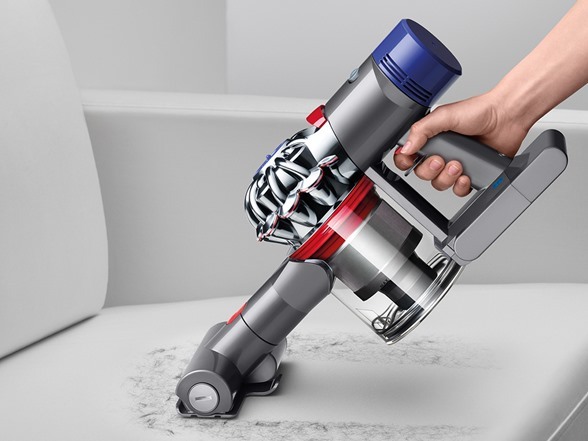 Up to 40 minutes of powerful fade-free suction - Dyson V8 Animal is powered by a Lithium-ion battery to deliver up to 40 minutes of fade free suction (up to 25 minutes with motorized floor tool attached). Max power mode - Slide switch to select power. Provides up to 7 minutes of higher suction for more difficult tasks. Transforms to clean up high - Lightweight and balanced for floor to ceiling cleaning. Cleans up top, down low and in-between. 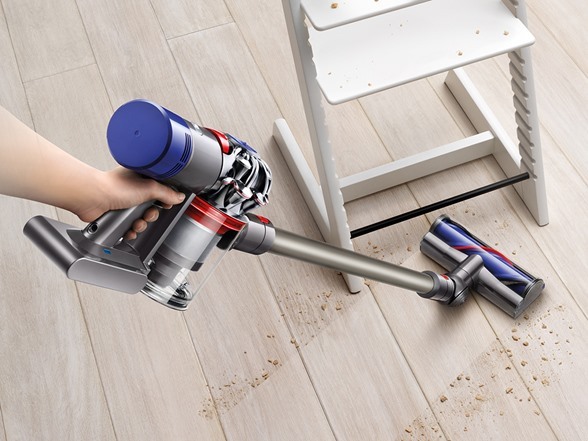 Transforms to a handheld - All Dyson cord-free vacuums quickly convert to a handheld for quick clean ups, spot cleaning and cleaning difficult places. Hygienic dirt ejector - Ejects dust from the bin in a single action. Convenient docking station - Stores and charges the machine, and holds additional attachments. Charging and storing the vacuum on the docking station means it's always ready to go.